Monaco is one of the smallest independent states in the world and its roots are intertwined with the Grimaldi family, the ruling dynasty for over 700 years. The district of Monte Carlo oozes glitz and glamour, from the world-renown casino to the high society and famous streets that the Formula one track snakes through. Monaco left me wishing I had a little longer there but the main sights can be covered in a day. 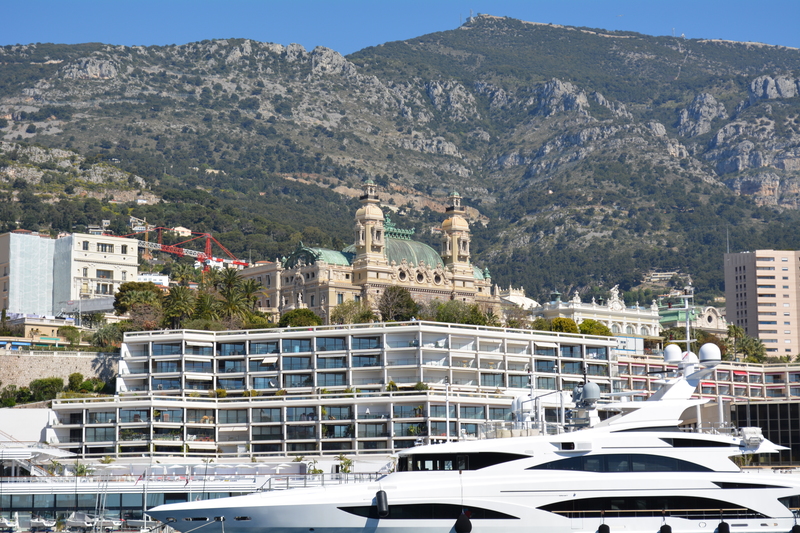 We arrived by cruise-ship in the beautiful marina where I spent a little too long admiring the stunning yachts. We got a taxi boat across to save us some time. Our first stop was the beautifully Zen Japanese garden, it harmoniously captured mountains, a waterfall, beach and brook and can be easily explored in an hour. It also had some items that were gifted to the Grimaldi family from Japan. The next stop was the casino, its such a majestic building and I was amazed at the amount and caliber of luxury cars outside (and thats after living in Dubai for 11 years where you think you have seen it all). There was paparazzi outside constantly, despite not being a gambler I thought it would be a shame to come to the casino and not play…so I spent some time losing haha and then it was lunchtime! Cafe de Paris is in the plaza just outside the casino, people sit there for coffees just to people watch and look at the cars outside the casino. We had lunch there, it was pretty good! Unfortunately we took a little too long doing everything and walked around quite a bit so we didn’t have time to see the Palazzo dei Principi which is where the Palace is. Glamorous, full of gorgeous scenery and it had such a relaxing vibe – I would love to go back for a couple more days!